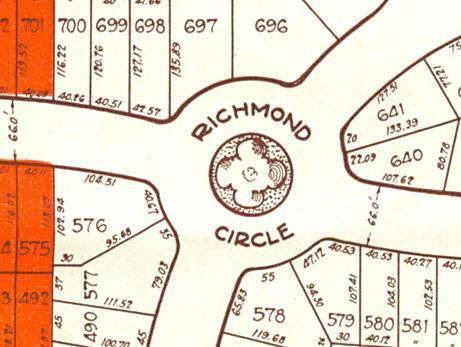 Driving down Dominion Road in Fort Erie, a Buffaloian might be surprised to see the intersecting streets of Delaware, Richmond, Chapin & Bidwell Parkways. 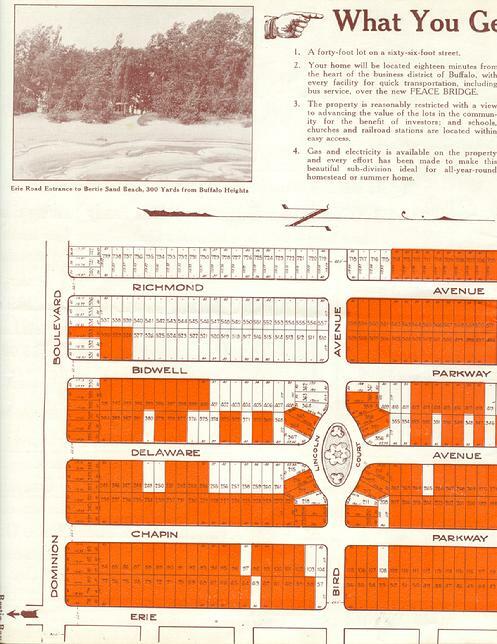 These streets, located in a relatively rural section of Fort Erie, Ontario, are far from the grand boulevards with their stately mansions found in Buffalo. So what is the deal with this �mini� Buffalo located just minutes from the Peace Bridge? The opening of the Peace Bridge between Canada & the United States in 1927, ushered in a brief era of speculation on what was believed to be the growth & modernization of Fort Erie. In addition to the bridge, the Ontario government was rapidly moving forward with the construction of the Queen Elizabeth Highway (QEW), a limited access road linking Toronto to Buffalo. The QEW was directly based on the design of the autobahns of Germany. When it was completed and opened to traffic in 1937, it was the first intercity divided highway in North America and featured the longest stretch of consistent illumination in the world. 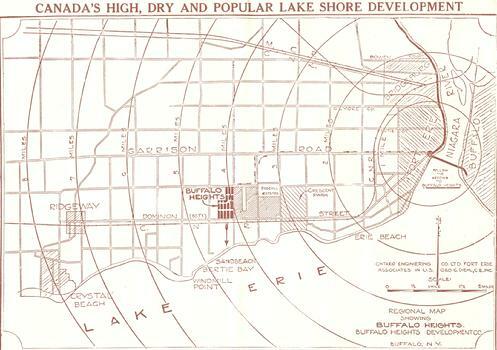 With great enthusiasm, developers from Buffalo set out to build a model community with 66-foot parkways, electric street lighting and a system of traffic circles and courts based on Buffalo�s most affluent neighborhood. Engineering for the project was completed by George Diehl. 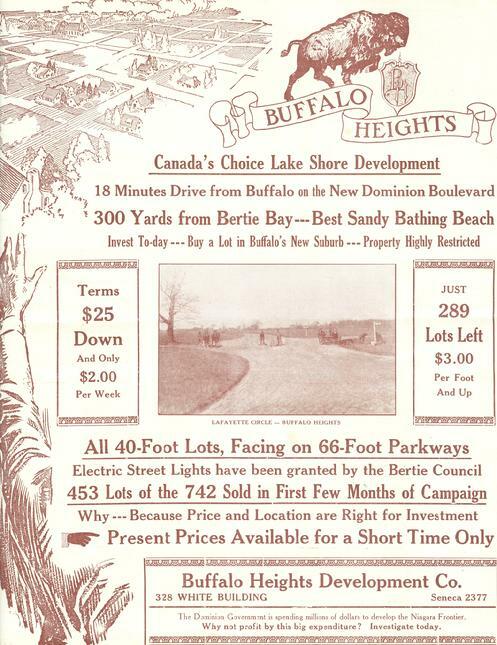 Advertising materials touted an �eighteen minute� commute to the heart of Buffalo�s business district and a 300 yard walk to the sand beaches found at Bertie Bay on Lake Erie. The project suffered a major setback during the stock market crash of October 1929 and never recovered. 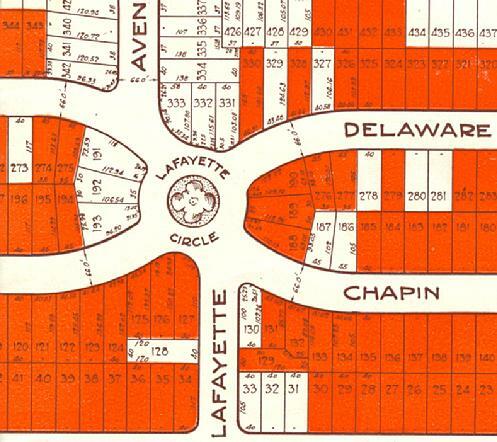 Parkways and traffic circles were left uncompleted as lots went unsold. 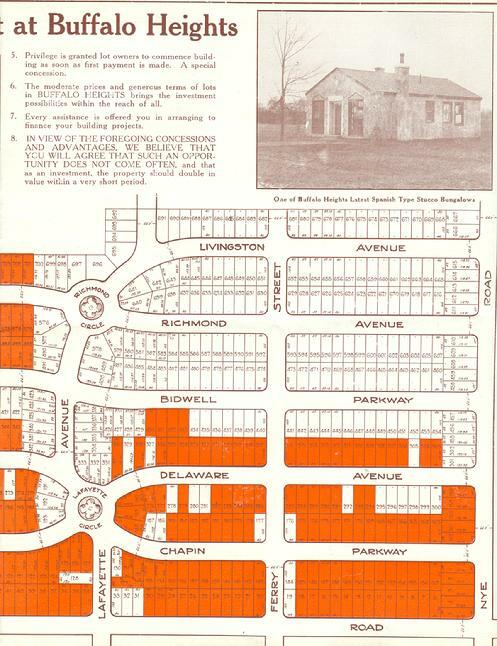 Eventually, a number of modest homes, on larger lots were built. 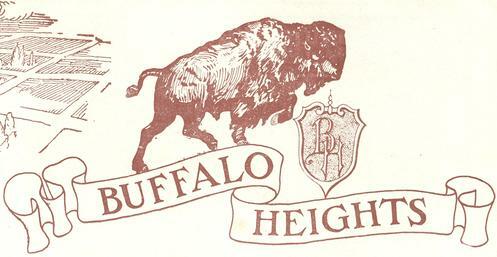 Visiting Buffalo Heights today, you�ll many of the unfinished landmarks of the pre-Depression design including Richmond Court and Lafayette Court. 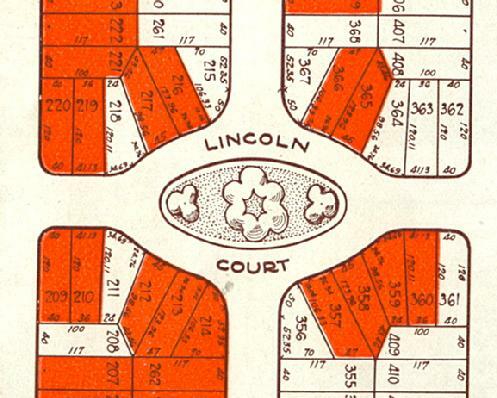 The planned Lincoln Court is an unconnected grassy field with an overgrown clump of vegetation where the park was to be located. Lafayette Court, Buffalo Heights development, Fort Erie.